Looking for a fun new way to let your little ones try out some tattoo's? This might be a new option for you if you have a few extra minutes to help them out. They an take the templates and make their own creations. So many colors to choose from each tattoo will be unique to them because they make them. Yes it is OK if the adults want to try on a few too, we won't tell. Great for sleepovers, teen parties, family get togethers, etc. 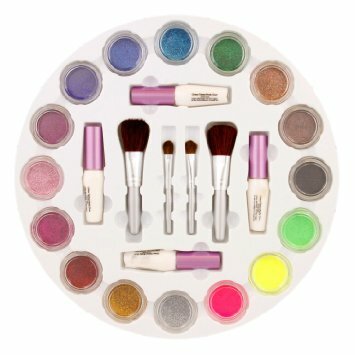 I love that it came with so many pieces, there is sure to be something for everyone. Enough supplies to make many tattoos. My 12 year old was able to do this on her own while my 7 year old needed a bit of help to remember the steps. Results were better than I expected which means no unhappy children. 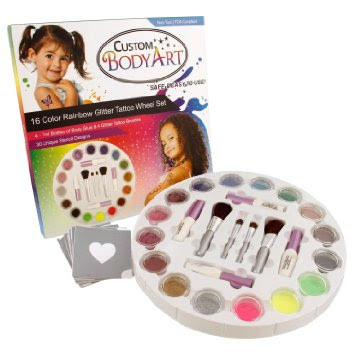 You can find this Body Art kit on Amazon. 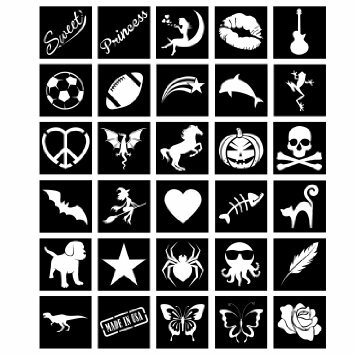 - Our Glitter Tattoo's are Non-Toxic, FDA Compliant and safe for use on skin. The waterproof glitter tattoos will last from 3 to 7 days under normal conditions.